Housing three divisions of products at Classic Displays (Site Furniture, Holiday Displays, Flags & Banners), you can imagine how expansive our product lines are. Regardless of the number of products we have to offer, our customers don’t necessarily want stock items; they want something more personalized. It is for that reason that we offer a number of customization options in each of our divisions. At Classic Displays we understand that well manufactured, long lasting site furniture can be a large investment, which is why we want to make these piece multi functional for our customers. Why should a waste receptacle be used solely to collect garbage when it can also help further brand a company, city street or act as an advertisement for a local business? Most of our waste receptacles can be customized simply through the addition of a logo, while others have more extensive options, like our Phoenix Unit. Our Phoenix has the space to do a logo on either side of the container but it also has an interchangeable community messaging centre as well as optional advertising panels. Great for communities, this unit helps keep the streets litter free while keeping local residents informed. With site furniture, the customization doesn’t stop at waste receptacles. We do a number of different types of bench customizations including embossed ends, which is very popular on our Riverside benches and can be seen in the City of Toronto and on Sparks Street in Ottawa. Our new Heritage bench also has customizable ends through the optional logo and name plate. Plaques are also available for the majority of our benches. We’ve been in the Christmas décor business since 1977 and we have done a number of custom jobs since then. The nice thing about the LED displays that we manufacture is that it’s easy for our customers to share their design concepts with us and we can turn around and make them a reality. And it doesn’t have to be just for Christmas. We’ve manufactured a number of year round LED Displays based on Business Improvement Area’s (BIAs) logos. Examples of these can be seen on Sparks Street in Ottawa and in Danforth Village in Toronto. Another example of custom year round displays would be those manufactured for Gravenhurst. All of their displays had the same base but the tops were boats or loons. Having customers request custom flags or banners, as opposed to purchasing the stock designs we carry, is fairly common. It’s an easy process. The customer provides artwork that we then resize according to the banner size and then we have them printed and sewn, the process for custom flags being very much the same. What a number of people don’t realize is that the customization options don’t end there; we can also customize the banner arms. Using laser cut steel, we can create custom banner and floral arms by cutting names and designs into them. 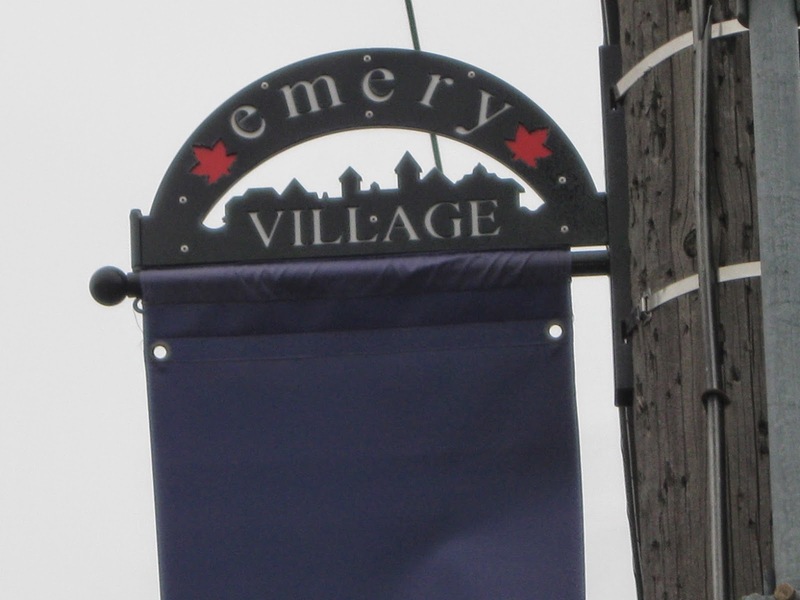 It’s a great way to enhance a city street or BIA and examples of this can be found in the Islington BIA and Emery Village. Offering a wide variety of customization options to our customers is something we think separates us from the rest. To increase our capabilities in this area we have a graphic designer on staff that can turn our customers ideas into working designs in the event our customers don’t have the capacity to do so themselves. We also have an in house engineer that has worked on a number of custom site furniture products, from designing new pieces that we’ve have not previously manufactured to making alterations to our existing products to better suit the needs of the customer. Regardless of the scope of work for a customization project we work closely with our customers every step of the way to ensure they end up with a product that satisfies their needs!